You've always dreamt of your wedding day, even as a young girl. 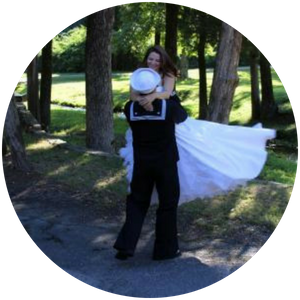 At the Old Mill Wedding Chapel, we're here to make those dreams come true! Each wedding venue is unique. Our facility is breathtaking, but we offer more than a beautiful location. We do everything we can to make your wedding experience amazing and virtually stress free! With our array of services and network of service providers, we can make planning and enjoying your perfect wedding day easier than ever. Located in beautiful Hot Springs National Park, Arkansas, our 4,000 sq. ft. facility is surrounded by natural beauty. Nestled at the foot of a scenic mountain on six beautiful acres, we adjoin the preserved National Forest. We have a crystal clear stream rambling through the property and a natural spring that bubbles up inside the foyer. 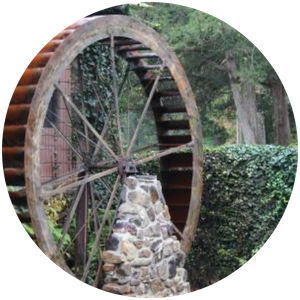 This spring provides the water which turns our full-size water wheel! With a multitude of options, our venue offers scenic views with exceptional indoor and outdoor wedding opportunities. With our classic chapel and visionary outdoor space, you'll soon see why so many brides choose this location. For the convenience of our couples, we offer a three-tiered package options that include silver, gold and platinum. Each comes with varying levels of service and additions that will help your day flow beautifully! 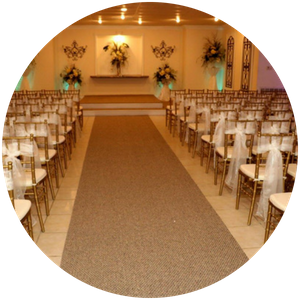 For nearly 20 years, Old Mill Chapel has been providing brides and clients alike with a beautiful venue to share their forever moment. It's always been our goal to help you capture an experience here that you can rememeber for years to come.